At the end of three days of wedding wedding wedding in London, I wanted to relax and celebrate all that we had achieved and experienced, somewhere quiet where we could let it all sink in. 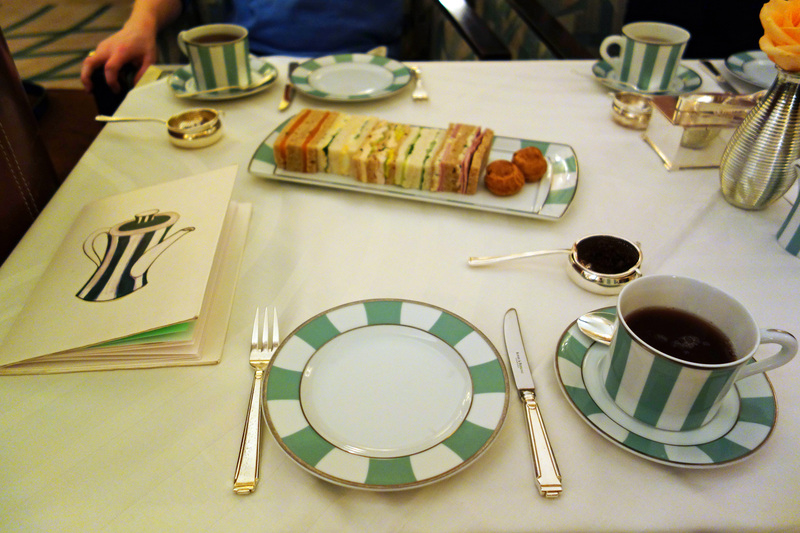 So I had booked us in for the afternoon tea at Claridge’s Hotel. 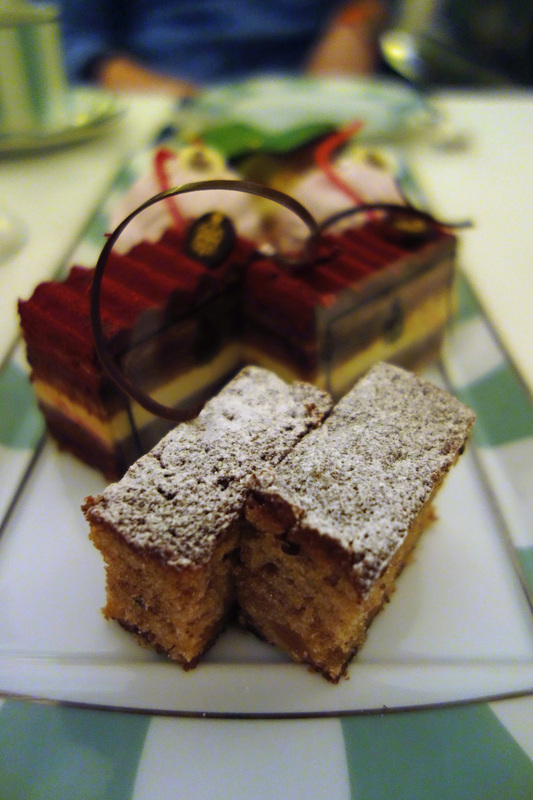 In any case, it was something I had always wanted to try as I love afternoon tea! I picked Claridge’s because of their exceptional reputation and also because they use the most gorgeous tableware by Bernardaud that I am completely in love with! I also wanted to give my German friend a quintessential English experience, and where better to do that! Pear & walnut éclair, vanilla cream Apricot & caraway cake. After we got settled we continued to chat about wedding flowers as we had just visited Claridge’s in-house florist McQueens, J got quized on ceremony times and I thought back to everything we had done the day before and how special the dress fitting was with J’s mum and O getting first peak. J and his mum got the opportunity to catch up on the last days’ events and more wedding detail were shared and O and I sat back and thought forward to that very same time next year when we would be getting everything ready for the big day. There really couldn’t have been a better setting to end such a perfect few days. I think we were all pretty tired so it was exactly what we needed to sit in their incredibly comfy chairs and be served plate after plate of sandwiches and sweets. 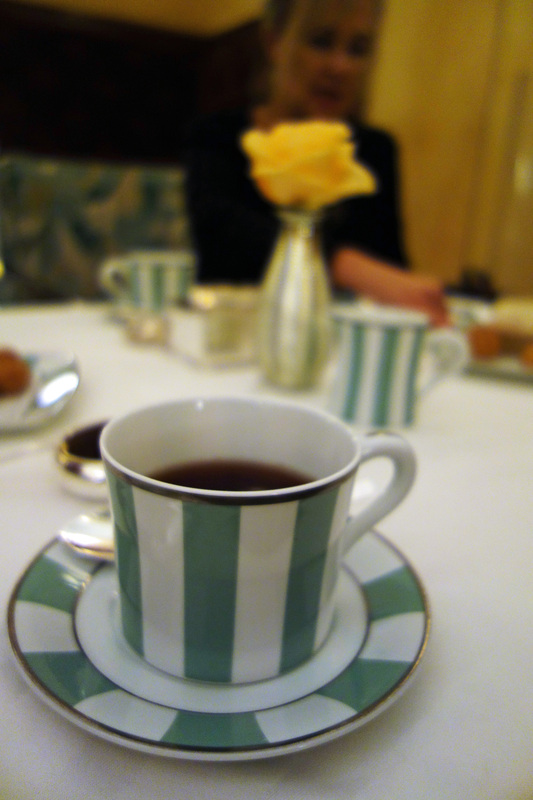 I went for the Claridge’s blend of tea and I was advised by our waiter that it was best served without milk, sceptical I asked him to bring some anyway. Of course he was absolutely right and it was unquestionably one the best cup of tea I had ever had, to the point where I think we drank about 5 or 6 cups. I really liked that when they brought you the tea pot (just for your tea) there was only enough for one cup which avoided the problem of over brewing and the tea left in the pot going cold. 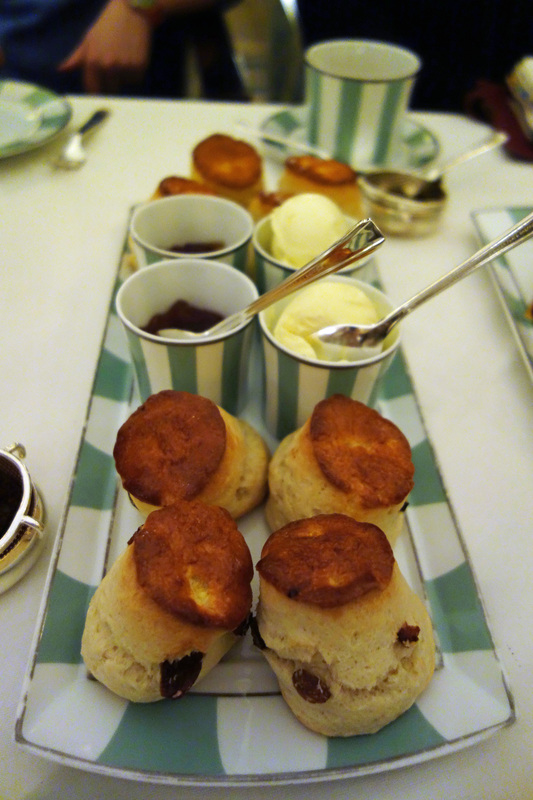 The scones were really superb and much smaller than I had seen in other places, which was nice as it made them more delicate for Afternoon Tea. 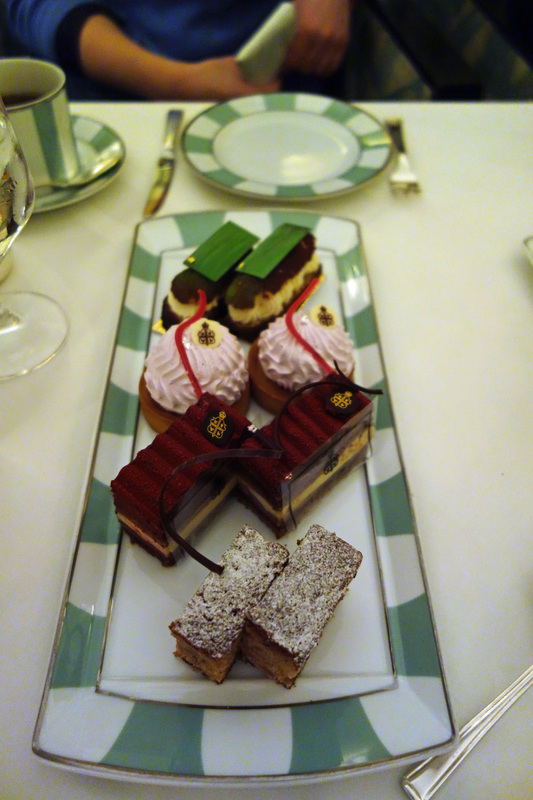 Each aspect of the food and drink was explained to us by our wonderful waiter and many of the sweets had a tea theme. I strongly recommend you read the menu fully as there is loads of info in how they source their ingredients and produce the food as well as suggesting which tea you have with which aspect of the meal. Everything was exquisite and beautifully presented and the service was impeccable! 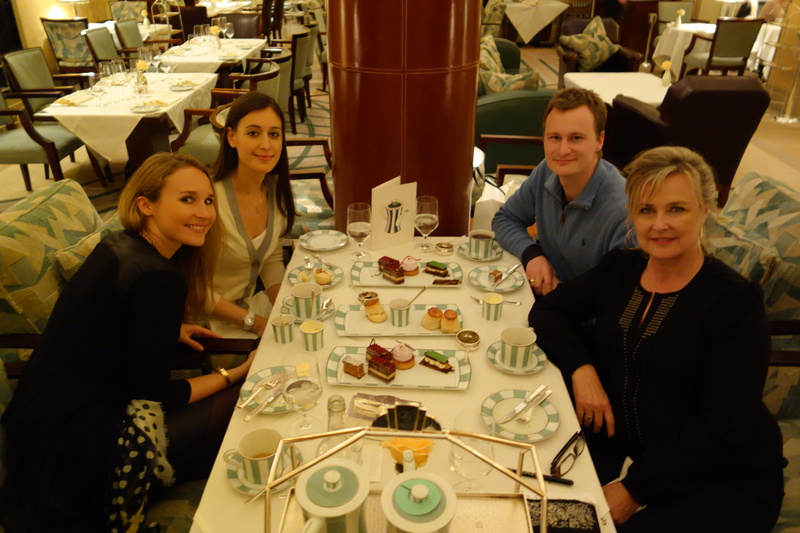 It will be hard to have afternoon tea anywhere else! 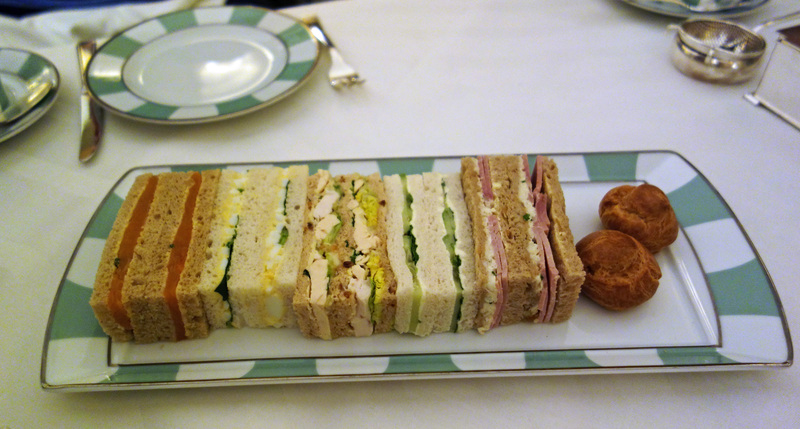 Click Here to see the full Afternoon Tea menu from Claridge’s Hotel.